When you’re the mother of the bride or groom, finding the perfect thing to wear can be kinda stressful. There’s so much to keep in mind! You want to wear something distinctive, but you don’t want to upstage the wedding party. You may want to coordinate with the theme, but you don’t want to be matchy-matchy. And of course, you don’t want to wear white. Not sure where to start? At the end of the day, there are two basic things to consider: the dress code, of course, but also your personal style. Scroll on for some style inspiration that ensures you’ll look incredible for all those family photo ops. While a dress seems like the obvious choice, a jumpsuit can work just as well in the right setting. 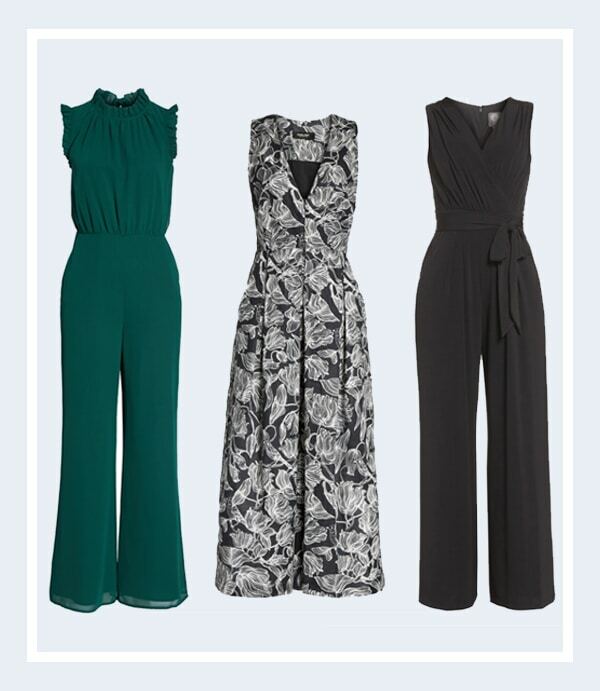 Not only are there plenty of silhouettes for different body types, but jumpsuits come in a range of formalities. (The only time we probably wouldn’t recommend one is for a black-tie affair.) And if you’re not really a dress person in the first place? It’s a no-brainer. Are you getting verklempt just thinking about the nuptials? 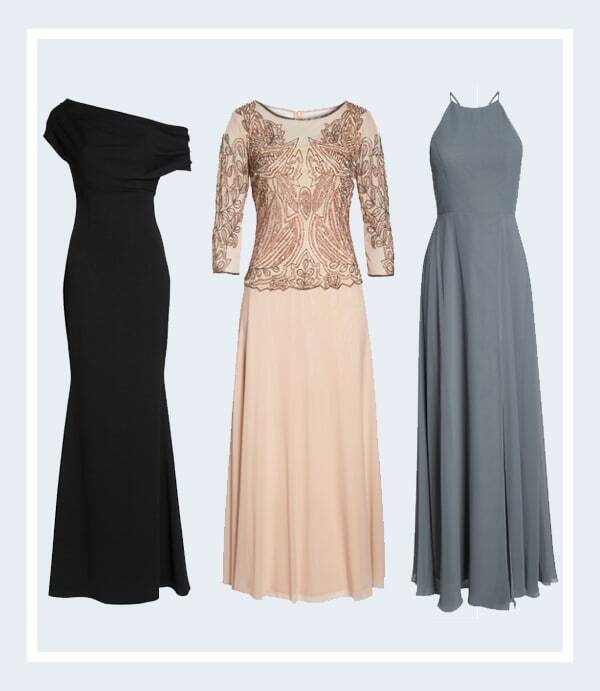 Then embrace your sentimental side with a hopelessly romantic dress. Midi lengths, particularly in a fit-and-flare shape, give lots of beautiful movement. The effect is especially striking when you incorporate whimsical details like ruffles, lace, or floral prints. Plus, this silhouette never really goes out of style, which is great when you consider the wedding photos will be cherished for years to come. When the invitation calls for something truly classic, you can’t go wrong with a gown. 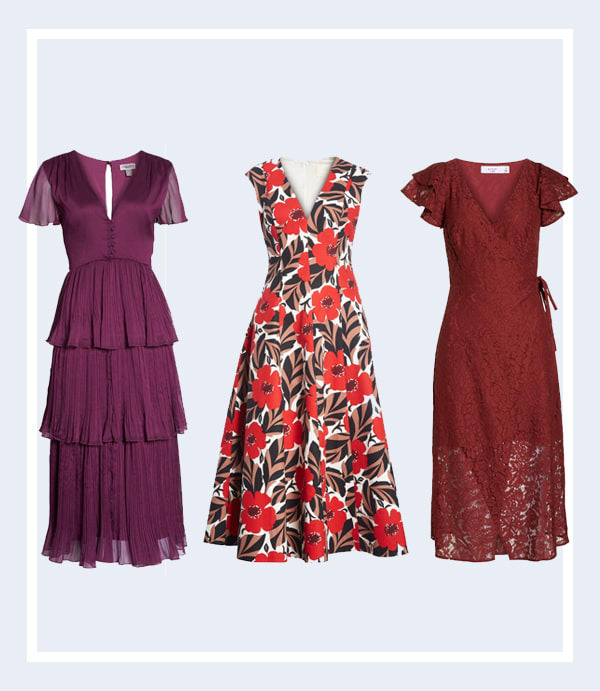 There are so many ways to top off the full-length skirt, whether you feel more comfortable in a sleek halter, modest sleeves, or an asymmetric neckline. It’s elegance at its finest—with the added bonus of being able to sneak into a pair of flats after you’ve danced the night away.